Your browser does not support embedded frames! The British North America Philatelic Society Ltd. - BNAPS - is an international organization (founded 1943) devoted to the collecting and study of the stamps, markings, and postal history of Canada and the pre-confederation colonies of British North America (British Columbia, Canada, New Brunswick, Newfoundland, Nova Scotia and Prince Edward Island). Want to update your postal or email address? Go to Member Login in the top menu bar. Select Login. Then go to Member Routines, select My profile and update your contact data. Don't have a password to log in? Go to Member Login. Select Get Password. Your password will be emailed to you. 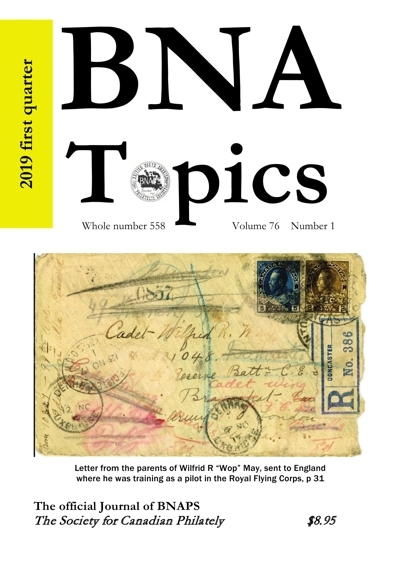 Our award winning journal, BNA Topics, contains articles on all aspects of BNA philately. The issues are all available online. As a BNAPS member, you can join one or more specialized Study Groups, many of which have their newsletters online. In many areas of Canada and the United States, you can find a Regional Group that offers further opportunity for fellowship with collectors of BNA. BNAPS operates a Sales Circuit that allows members to buy and sell specialized material. To join, complete the application form. You can pay dues via PayPal if you wish. BNAPS publishes 10 to 15 books per year devoted to BNA philately, and offers over 150 on its website. The books cover the postage and revenue stamps and postal history of Canada and its provinces and territories from the stampless era to modern Elizabethan material. There are detailed studies and comprehensive catalogues. There is also an Exhibit series that features award-winning exhibits of BNA material. Members can buy BNAPS books at a significant discount from the retail price. This major benefit can offset the membership dues. 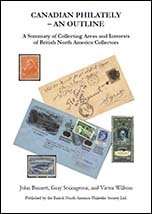 Canadian Philately - An Outline is a freely available handbook that provides an overview of the many fascinating areas of BNA philately. Online Resources and Exhibits (ORE) provides a wide range of overview, tutorial, reference, and specialized articles and online exhibits covering all facets of BNA philately. The Horace W. Harrison Online Library contains the back issues of BNA Topics, and provides a searchable index to Topics, Maple Leaves, and the PHSC Journal. The Horace W. Harrison Online Library also contains back issues of Study Group Newsletters, which document the discoveries and ongoing research of the BNAPS Study Groups. BNAPEX, the annual stamp show and convention of BNAPS, is held in different locations from year to year. BNAPEX 2019 is being held in Ottawa, ON, during the Labour Day weekend in September. 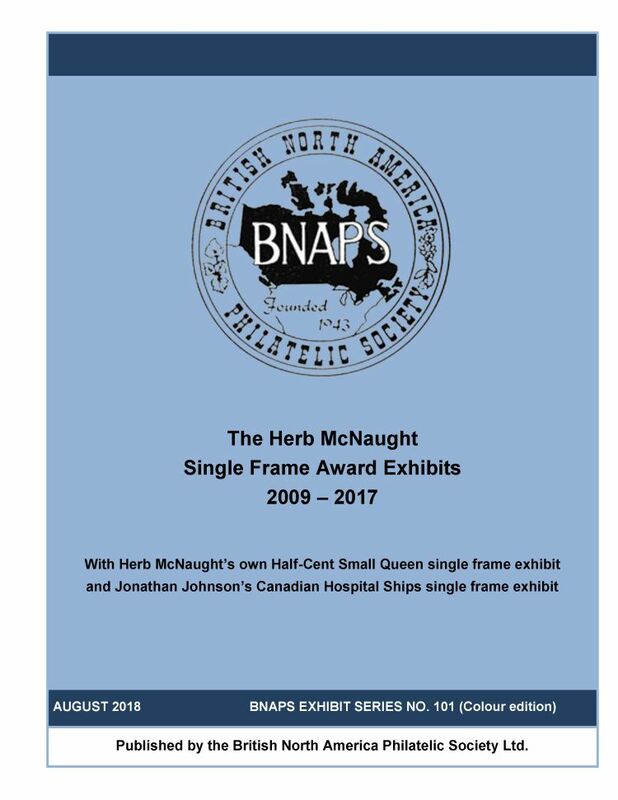 It will feature 160 frames of BNA exhibits, a 25-dealer bourse, study group meetings and seminars, and tours in Ottawa and Gatineau. Copyright © 2007 - 2019 The British North America Philatelic Society.